If you have a new beverage or convenient product, starting out in the c-store channel is not only easier, faster and cost effective, but you are showcasing your beverage in front of millions of consumers on a daily basis. Beverages are considered one of the fastest selling items in a convenience store accounting for over one third of overall c-store sales because they are known as a beverage destination. The majority of new beverages are initially sampled in c-stores because they can be purchased cold and in single serve packaging and the pricing is sometimes lower than other channels. The U.S. convenience store count increased to a record 149,220 stores as of December 31, 2012, a 0.7% increase (1,094 stores) from the year prior, according to the latest NACS/Nielsen Convenience Industry Store Count...the number now is over 152,000. An average store selling fuel has around 1,100 customers per day, which equates to more than 400,000 per year. Just imagine the amount of volume you can move if your product is in-front of 1,100 customers per day in just one location. 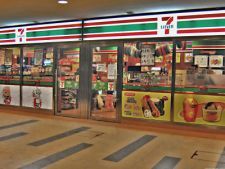 Cumulatively, the U.S. convenience store industry alone serves nearly 160 million customers per day, and 58 billion customers every year. Convenience stores continue to grow as more and more c-stores add food-service offerings to attract new consumers. Selling your new product to a c-store requires you to present your new product to a retail buyer or store owner. 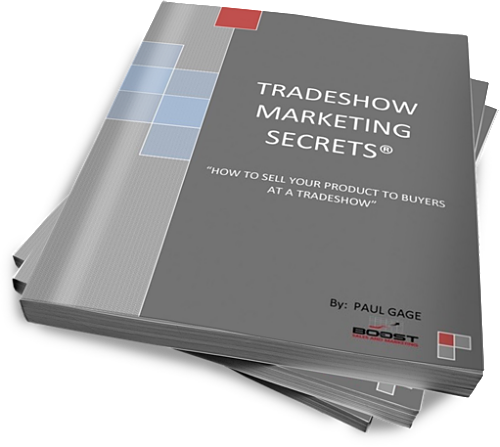 There are multiple ways of presenting your new product to a retail buyer or store owner. One of the best ways is by selling your product to a wholesale distributor or beverage distributor that has relationships with thousands of c-store accounts. 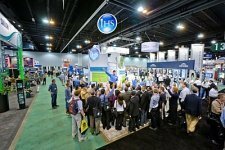 Another great way to reach hundreds of c-store buyers and distributors is by Attending a c-store tradeshow. You can also Advertise your product in Trade magazines such as Bevnet, Cstore Decisions or CSP. Retail owners and distributors read these trade magazines to find new products and ideas to grow their business. An oldschool method that I used to sell millions of units in the first year to thousands of c-stores was by picking up the phone and calling the retail buyers directly. The fastest way to sell your product to thousands of c-stores, is to use an established wholesaler, distributor or buying group. You need to leverage their relationships to place your product in the retail accounts they are currently servicing. 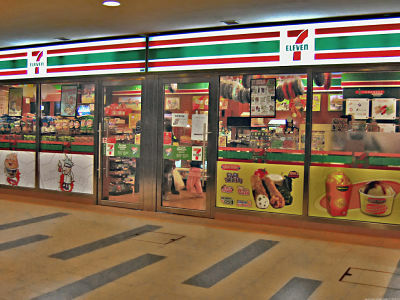 There are broad line distributors such as Mclanes and Core-Mark that specialize in delivering various products to c-stores. DSD beverage distributors are considered the best distributors to go to market when you have a new beverage product because a new beverage needs to be properly merchandised in a retail account. When you are competing with hundreds of established beverage brands, you will need a dedicated person to make sure that your product gets in the cooler and stays in the cooler. There's nothing worst than having a competitor remove your product, marketing material or reduce your facings because you are not monitoring your product. 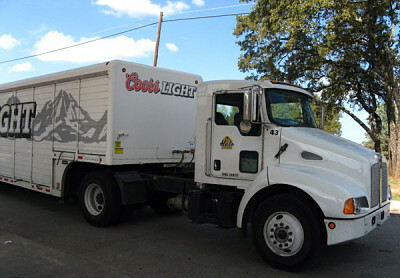 If you have a new beverage, it's critical that you use a distributor that specializes in distributing beverages. 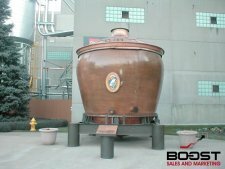 Knowing that you have to compete against so many large beverage companies that have sales reps that don't want your new beverage taking up shelf space, means you need to have a distributor that can service and merchandise your beverage. 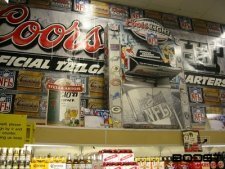 Beer Distributors are experts at delivering beverages to c-stores and their in-store merchandising is top of the line. 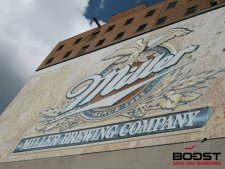 If you have a difficult time getting a beverage distributor to carry your product, then you may have to distribute the product yourself or use a wholesaler that typically distributes non beverage products. 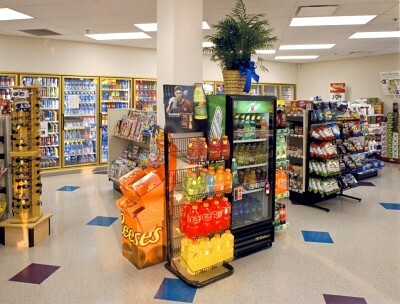 You can also use a food-service distributor that sells food and snack items to c-stores. At the end of the day, you have to use the right distributor to distribute your product, sell your product to their accounts and ultimately get consumers to purchase your new beverage. P.S. Just because you get a distributor to distribute your product, does not mean you get instant account distribution because it's ultimately your job to sell your product to their accounts. Distributors not only want suppliers to sell their product to their existing account base but a lot of distributors won't take on your product until you are already in the majority of their accounts. When I worked for Pepsi Bottling Group, I competed everyday against the Coke and Dr. Pepper Rep. It was important for me to be the best in the retail account because the more beverages I sold, the more money I made. I also knew that I couldn't rely on just taking orders for my existing products, I needed to merchandise them properly to boost my sales. 95% of new beverages don't just fail because they don't have enough marketing dollars, they fail because of in-store marketing execution... feet on the street or aggressive sales people like myself making sure they are in the best position in the cooler, shelf and floor. If you don't know how to properly merchandise your product in a c-store, you won't be able to optimize your sales. 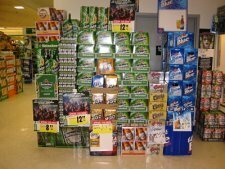 Knowing where to place your product in a cooler or on display will determine how successful your product is going to be. It doesn't matter how great your new beverage taste or how great your marketing plan is if you don't have salespeople in the stores selling your deals and fighting for shelf space. Gaining incremental floor displays and great shelf positioning will only be achieved when you have great reps that understand in-store marketing and also know how to build a great relationship with the retail staff. If you have a new product that you want to place into thousands of c-stores and make a lot of money, then You should contact me. 2. Core-Mark Holding Co. Inc.
6. S. Abraham & Sons Inc.
8. Harold Levinson Associates Inc.
9. Chambers & Owen Inc.
12. J.T. Davenport & Sons Inc.
13. Consumer Product Dist. Inc.
15. Stephenson Wholesale Co. Inc.